V1710. POL PLANÇON, Vol. III, incl. Songs by Schumann, Adam, Bemberg, Flégier & Faure; Arias from Zauberflöte, L’Étoile du Nord, Robert le Diable, Mignon, La Damnation de Faust, Le Pardon de Ploërmel, Le Caïd, Faust, Martha, Don Carlos & Stabat Mater (Rossini). (Germany) Truesound Transfers 3018, recorded 1905-08, New York. Transfers by Christian Zwarg. Now returned to stock. 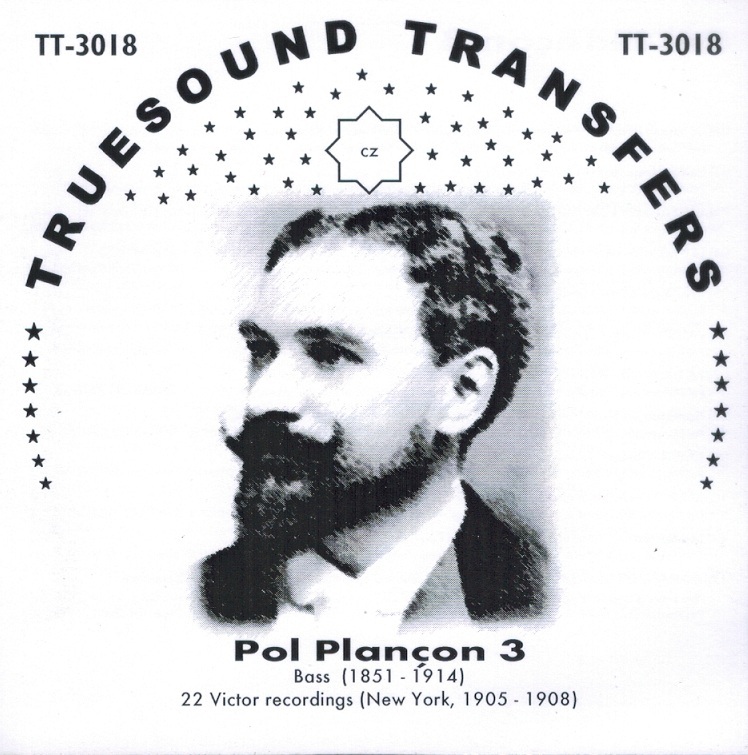 "Pol Plançon…has never been equaled by any subsequent bass for technical perfection…. [His] noble, effortlessly sculpted phrases pour out like a mellow vintage red wine, each note seamlessly melting into the next. Perfection."